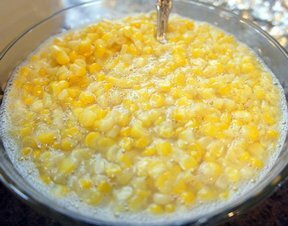 Enjoy corn on the cob year round with this delicious freezer corn recipe. Just the right amount of salt and sugar to make it seem so fresh. Perfect to have throughout the winter, if it makes it that long. 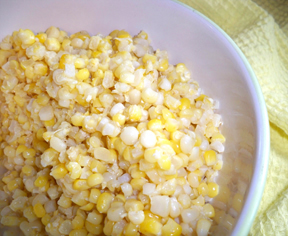 Husk and cut corn off cob. 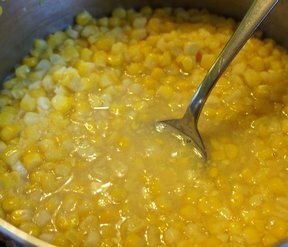 In a large stock pot, add corn, water, butter, sugar, salt and pepper. Boil for 3 minutes; cool. When cool put in containers or vacuum pack and freeze. To cook, warm up over medium heat on the stove. "I made this in the fall and had it on Easter. We added more butter when it was cooked. 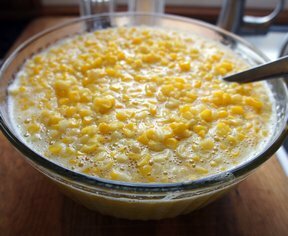 It tasted just like it was still on the cob!"